While we can’t get enough of shiny new beauty launches, sometimes it’s the products that have stood the test of time that really deserve the spotlight. In our new Greatest Hits series, we take a closer look at the staples beauty insiders swear by. 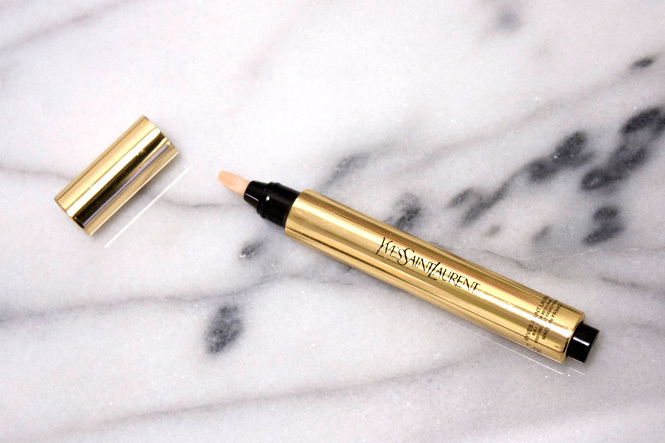 What it is: A concealer-highlighter hybrid that gives the look of “8 hours of sleep with the click of a pen,” thanks to its ability to brighten dark areas (inner corners of the eyes; sides of the nose) and make the high planes of the face pop (hello, cheekbones). How we use it: To erase smile lines without pumping our faces with filler. 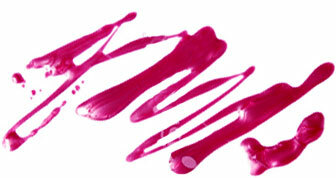 Around the mouth to keep bright lipstick in bounds. In the corners of the eyes to counteract hangovers and not so restful nights. On the brow bone to give our eyes a lift. To chisel our cheekbones without using muddy contour powder. How don’t we use it? Painters and photographers have manipulated light to beautify their subjects for hundreds of years, but it wasn’t until YSL introduced Touche Éclat that makeup artists could do the same with the click of a pen. The glow-imparting formula has remained unchanged since the product’s launch. It combines transparent pigments that capture, amplify and diffuse light with soft focus color pigments that blend into skin. For Touche Éclat’s 20th anniversary in 2012, YSL expanded the range to 12 hues, with 5 new “half” shades developed by current YSL Makeup Creative Director Lloyd Simmonds. Today, one Touche Éclat pen is sold every 10 seconds around the world. While tons of similarly constructed products have launched in Touche Éclat’s wake, no imitator has been able to match the lit-from-within, non-shimmery finish of the original. (Trust us, we’ve tried them all.) The effect really does look like lighting, not like makeup sitting on skin’s surface. Claim to fame: Celebrities such as Ashley Olsen, Victoria Beckham, Julia Roberts and Rihanna have all gone on record to voice their love for the pen. Even former UK Prime Minister Tony Blair has admitted to being a fan. Bet you didn’t know: There are an average of 200 clicks in one Touche Éclat pen.